Your friendly neighborhood barber shop! Mackie's Barber Shop, established in 2001, is conveniently located in Milton Village. Our staff is here to give you the look you want and the courtesy you deserve. We specialize in all styles of men's and boy's haircuts. Plenty of parking, waiting seats and we are open late on Thursdays and Fridays. 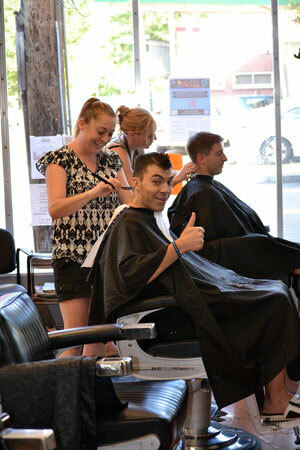 All of our barbers are fully licensed and ready to give you the look you want. We are great with kids of all ages. Feel free to ask for a treat after your haircut.